We are excite to present two great global acts this coming week! KXCI Presents! 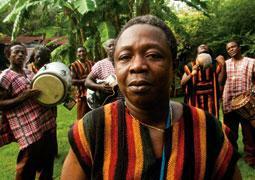 - Sierra Leone’s Refugee All-Stars this Monday night, May 21st at Solar Culture Gallery. Sierra Leone’s Refugee All Stars have risen like a phoenix out of the ashes of war and inflamed the passions of fans across the globe with their uplifting reggae and African songs of hope, faith and joy. This all ages show starts at 7pm with Black Nature Band. Many will remember the amazing show they put on with KXCI at The Rialto Theatre a few years back. Malian diva Khaira Arby brings Saharan desert blues to the Club Congress stage Tuesday, May 22nd in an early, KXCI Presents! show. 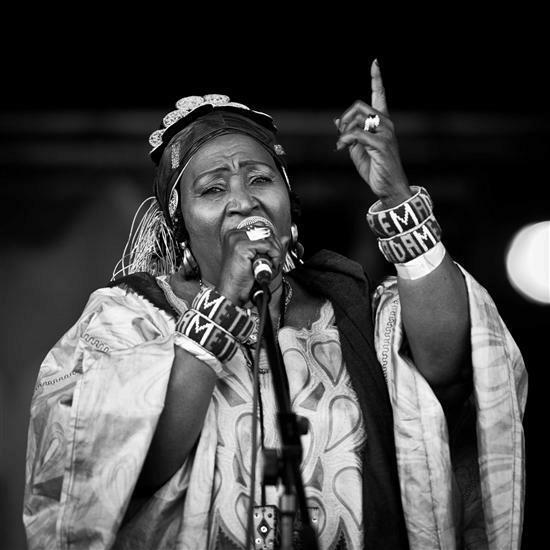 Khaira and her ensemble combine the rhythms of Mali, ethnic female vocals and the dancing electric guitars of Timbuktu, for a night of authentic African music. Born just outside Timbuktu, Khaira Arby prepares to tour North America carrying her message of peace in the wake of a coup d'etat that has besieged her country. While politics threaten to split her country, Arby's music champions peace and decries the hardships women face from political violence. With electric guitars and irresistible percussion, Khaira's indie-rock/desert blues songs echo centuries-old musical traditions.